If you love the great outdoors, this is the cookbook for you. The recipes have been carefully selected to meet the demands and challenges of camping in faraway places and the necessary ingredients and equipment can be packed into your 4 x 4 vehicle. All the recipes can be prepared either over an open fire or on a gas stove. Over the years 4 x 4 safari equipment has improved and nowadays most people own a small camping fridge or freezer. This means you can prepare a wider variety of food and you don’t have to depend on soy or canned food anymore. You also don’t need to be a celebrity chef to make the dishes, as they are tasty, yet easy to prepare. 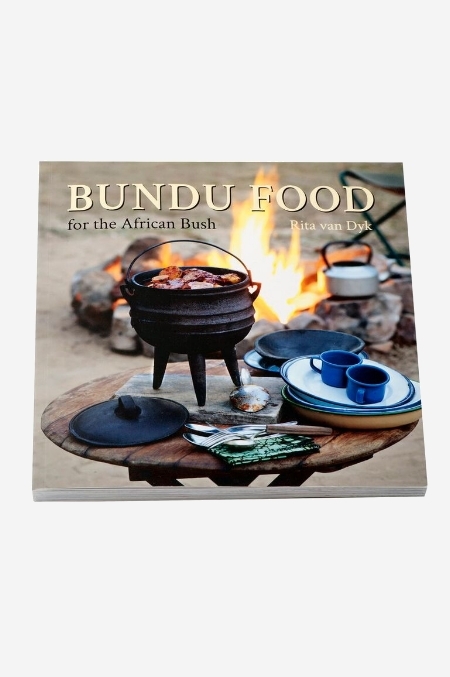 Bundu food for the African bush will have you cooking like a professional chef on safari and serving everything from salads to moussaka and even ice cream!